One of our favorite fall vacation spots is Door County Wisconsin, the Cape Cod of the Midwest. In among the bevy of amazing restaurants and eateries to choose from, you’ll find a marvelous little pizzeria call Wild Tomato. 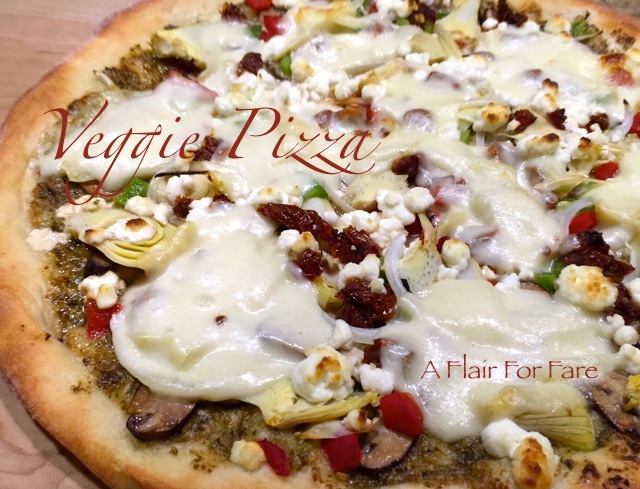 I created this recipe based on their version of the veggie pizza. Their pizzas are wood fired, so if you have a pizza stone, bake your pizza on the grill for that fabulous, smokey flavor. 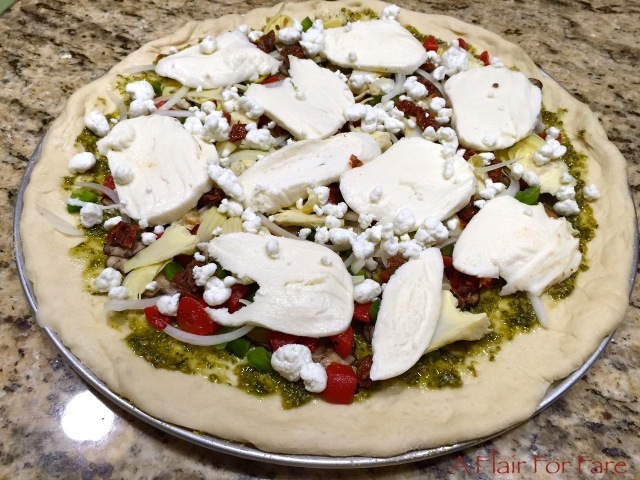 Prepared pizza dough- if using frozen, you’ll need to defrost a day or two in advance. Follow package directions. Prepare your favorite pizza dough, homemade or frozen. Sauté mushrooms in 2 teaspoons of olive oil; drain on a paper towel. Evenly spread mushrooms, artichokes, peppers, onions and sun dried tomatoes on top of pesto. Be sure to remove as much of the moisture as you can from the vegetables or the center of the pizza will be mushy. Thinly slice fresh mozzarella and arrange on top of veggies. Bake 12-15 minutes, until dough is puffed and golden and cheese is melted. If grilling using a pizza stone, follow your pizza stone directions.